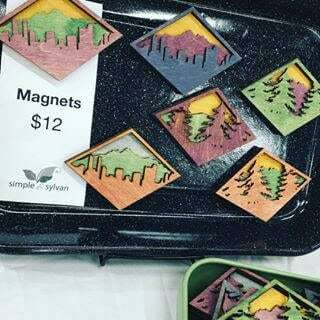 Silhouette magnet art that reflects the vibrant color of the Rocky Mountains. 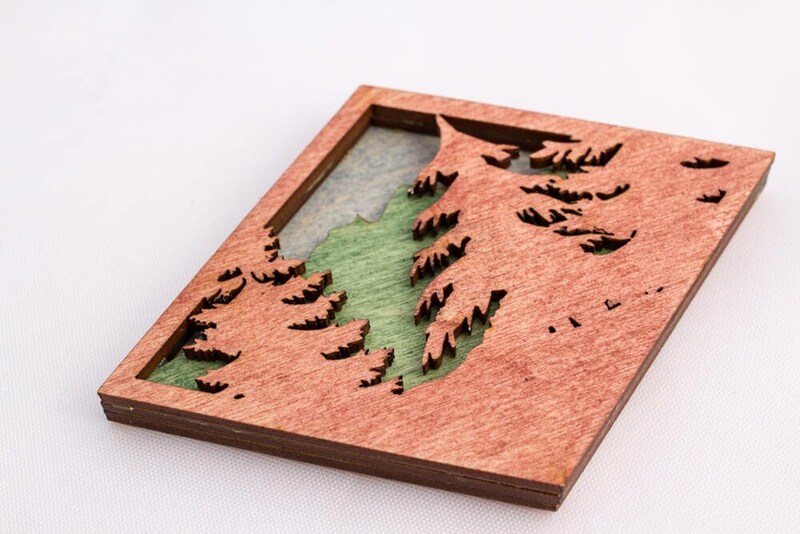 Each piece has 3 layers of mountains and trees set in relief. Each panel is laser cut and stained, and then fixed together. Pine trees silhouetted against mountains. This diamond shape is 2 inches x 3 inches. Red trees, with green mountains against a blue sky. 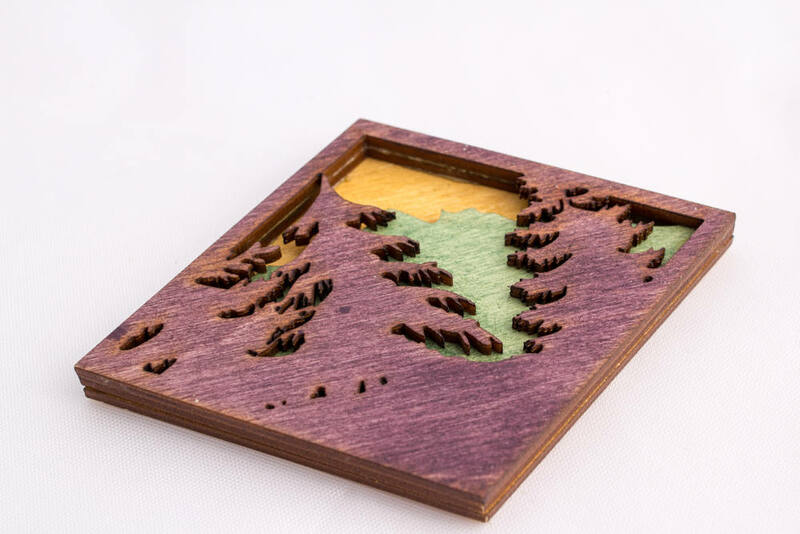 Purple trees, with green mountains against a golden sky. Green trees, with purple mountains against a golden sky. Items are shipped in Medium Flat Rate Boxes via the USPS. Buyer will receive the tracking number once shipped.